I've been ordering from here for ten years and ordered this as a "milestone" bday gift! I couldn't be happier with how perfectly they arrived! 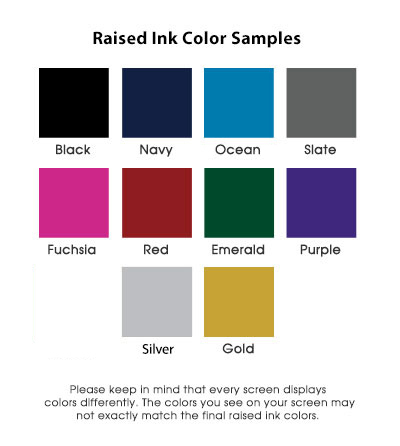 My friend loves them and can't stop saying how much she loves them. 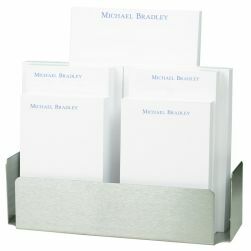 Gifts In 24 is my "go-to" for both guys and gals...and I have different styles myself! 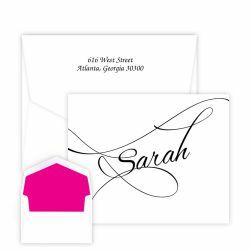 Personalized stationery gets a makeover. 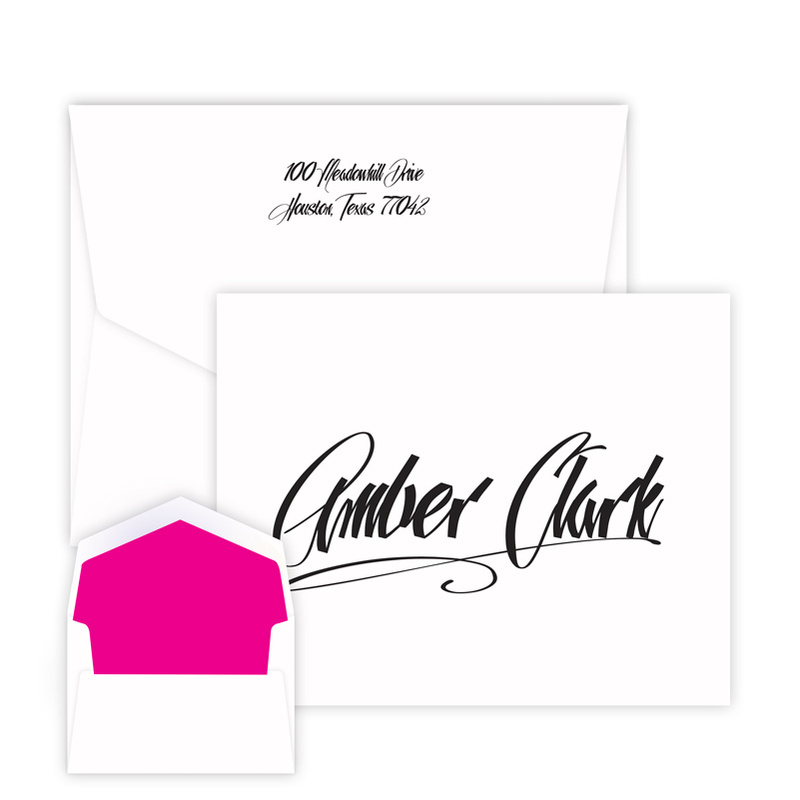 The Style Oversized Note features our exclusive Boomerang font printed in a larger size on a generously-sized folded note, giving this stationery plenty of personality. 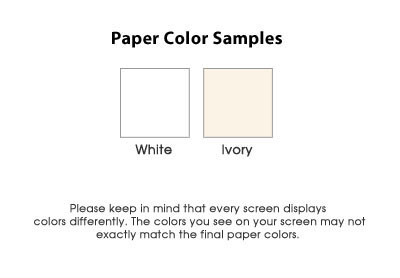 Choice of raised ink color and either white or ivory paper. 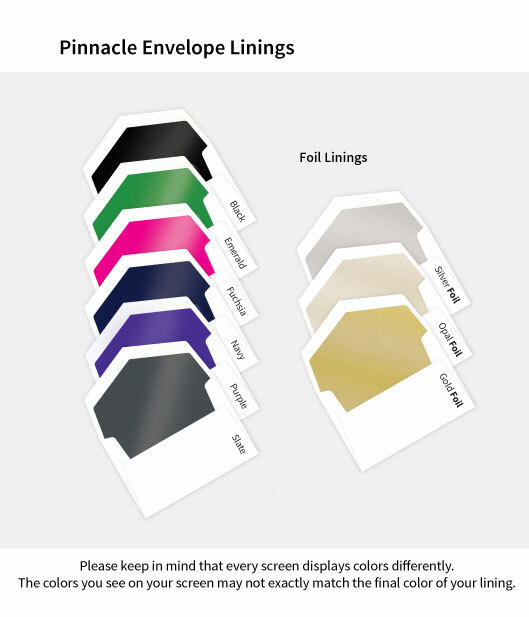 Includes 25 color-matched envelopes. 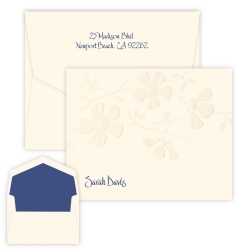 Consider an optional border, hand-inserted lining, return address or 100% cotton paper.